VANCOUVER, BC--(Marketwired - July 07, 2016) - 7-Eleven® Canada is celebrating its 50th Slurpee Summer season by serving customers over 3/4 million free Slurpee drinks at the world's coolest birthday. To join in this highly anticipated tradition, stop by any 7-Eleven store from B.C. to Ontario to enjoy a free 12oz Slurpee drink between 11:00am and 7:00pm on Monday, July 11, or while supply lasts. 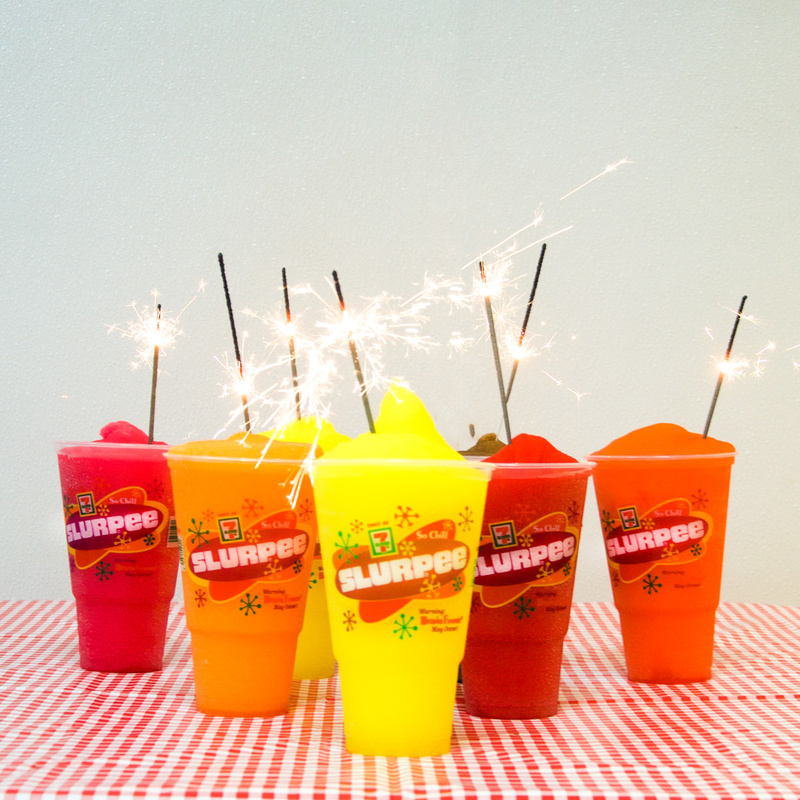 "As Slurpee fans celebrate an iconic summer, we are looking forward to hosting our biggest birthday party yet. All our stores will be giving away 1500 free Slurpee drinks," says Raj Kapoor, vice president and general manager, 7-Eleven Canada. "We are humbled that Slurpee is a part of our Canadian culture, and that our customers have many memorable experiences of enjoying Slurpee over the years. We are also exclusively toasting our Slurpee fans in Manitoba again this year, with the world's largest Slurpee (711 litres)." Manitobans have again demonstrated their unparalleled passion for Slurpee when it comes to consuming the highest average number of Slurpee cups sold per store in a region. Officially the Slurpee Capital of the World for the 17th consecutive year, Manitoba has retained the top spot over other popular Slurpee-drinking markets including Calgary and Detroit. 7-Eleven will present the City of Winnipeg with the Slurpee Cup at its Birthday party at 1184 Portage Avenue, and Slurpee lovers are invited to join in the fun. The world's largest Slurpee (711 litres) will be proudly on display and mascot, Mr. Slurpee, will be in attendance. Live music, by local band Purple City Event Band, face painting, balloon artists and free food samples will also add to the fun. The fun doesn't stop on July 11th. All week, 7-Eleven and Slurpee® fans can enjoy 7Rewards℠; customers can enjoy a free 7-Select™ Soda (on July 12), a free 7-Select™ Super Big Cone (on July 13) and a free 7-Select™ chocolate bar (on July 14) when they buy a Slurpee, Big Gulp®, Iced Coffee or Coffee. Download the 7Rewards App at 7Rewards.ca or text app to 711247 to start enjoying your rewards. 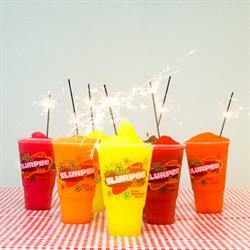 For this iconic celebration, Slurpee fans are being asked to show their love for Slurpee over the past 50 summers by posting pictures of their favorite Slurpee memories on their social profiles with the hashtag #throwbackSlurpee and tagging @SlurpeeCanada for a chance to win a year's worth of free Slurpee with a $500 Slurpee gift card. Full contest details can be found at www.slurpee.ca. Slurpee® is a global icon that's available only at 7-Eleven stores. More information on Slurpee in Canada is available for Canadian consumers at www.slurpee.ca, www.facebook.com/slurpeecanada or find us on Instagram under SlurpeeCanada. 7-Eleven, Inc. is the premier name and largest chain in the convenience retailing industry. Based in Irving, Texas, 7-Eleven® operates, franchises and licenses more than 10,700 7-Eleven stores in North America. Globally, approximately 59,500 7-Eleven stores serve customers in 17 countries. Find out more about 7-Eleven Canada at www.7-Eleven.ca. About this company 7-Eleven Canada, Inc.
7-Eleven® Canada is celebrating its 50th Slurpee Summer season by serving customers over 3/4 million free Slurpee drinks on Monday, July 11.